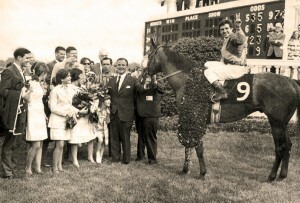 Who Won the 1968 Kentucky Derby? 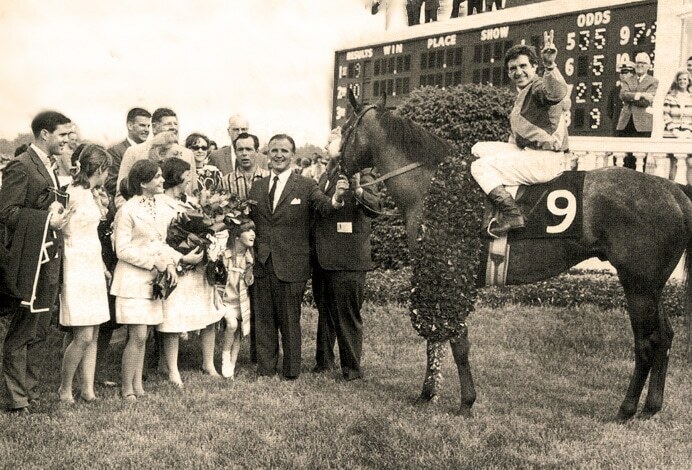 Who won the 1968 Kentucky Derby? If you look at most listings of Derby winners, Forward Pass is shown as the winner — but you’ll see an asterisk (*) or the words “via DQ” next to his name. What’s that about? It’s a story mostly unknown to racing fans born in the 1970s and later. At one time, there was a different horse listed as the winner of the ’68 Derby on shot glasses and the sign on the back of the grandstand at Churchill Downs. The horse that time has almost forgotten is Dancer’s Image, a son of Native Dancer who was nicknamed the “Grey Ghost” by his many fans. I’m a fan of mockumentaries like This is Spinal Tap and Best In Show, so I’m looking forward to checking out And They’re Off… starring Sean Astin, Cheri Oteri from Saturday Night Live, Kevin Nealon, and Martin Mull. 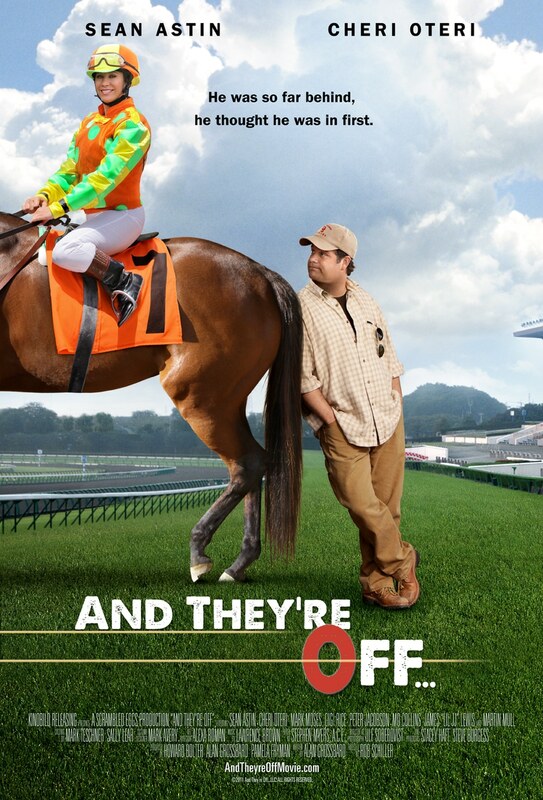 Even Hall of Fame trainer Bob Baffert makes a cameo appearance. 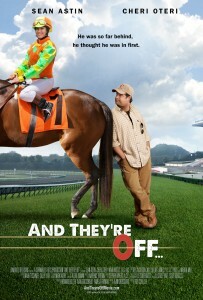 Sean Astin plays a Thoroughbred trainer in the middle of a long losing streak who’s attempting to prove to his father, played by Martin Mull, that he can train a winning horse. Cheri Oteri is an emotionally erratic jockey who wants to do more than just ride for Astin’s character, and Kevin Nealon plays a taxidermist who tries to encourage the losing trainer to switch careers. The racing team faces setbacks on their way to the Bunson Swine Mile, the biggest race at the San Joaquin County Fair. A dirt-cheap colt becomes a national hero, an immortal icon, and an enduring mystery. 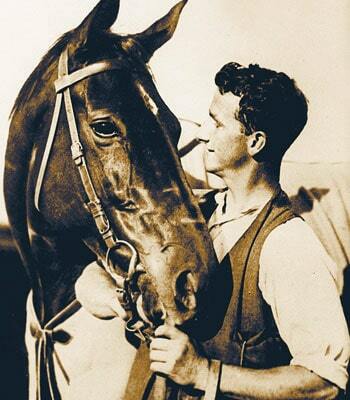 On October 4, 1926, during the southern hemisphere’s spring, a chestnut Thoroughbred colt was born in Timaru, New Zealand. 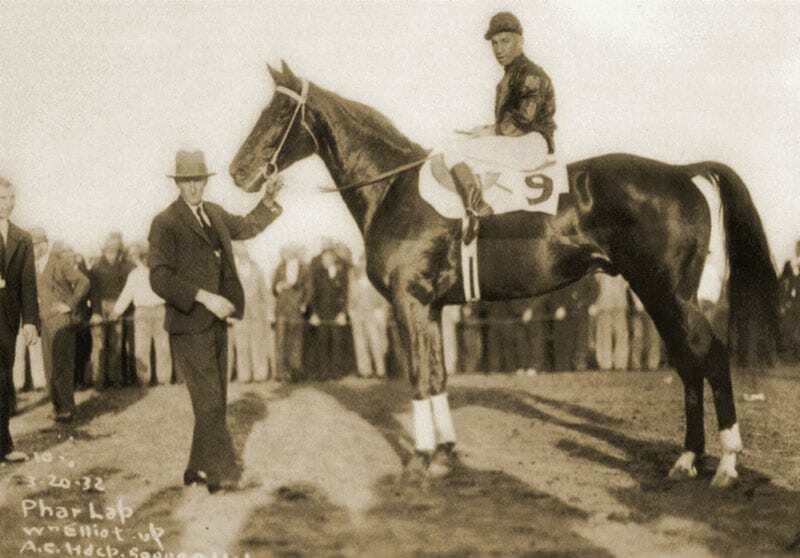 As a yearling he was purchased at auction for only 160 guineas, or $35 in U.S. currency — about $465 today, adjusted for inflation. Certainly no one expected the colt to grow up and become an Australian national hero within five years. 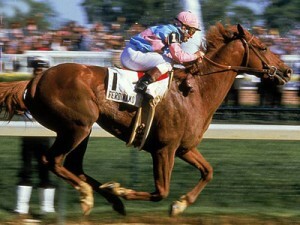 Ferdinand winning the 1986 Kentucky Derby with Willie Shoemaker aboard. 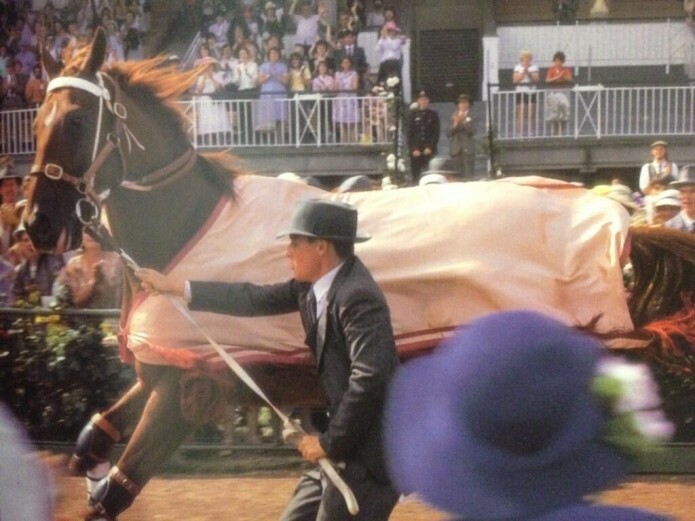 I remember watching Ferdinand win the 1986 Kentucky Derby on TV. It was a surprise win, with the chestnut colt coming from last place and maneuvering, under the expert hands of Willie Shoemaker, through a hole near the rail and pulling ahead of the leaders. Ferdinand wasn’t a brilliant runner — he lost the Preakness and Belmont Stakes and his interest seemed to wane the moment he took the lead in a race, but he was named 1987 U.S. Horse of Year after beating Alysheba, the 1987 Kentucky Derby winner, in that year’s Breeders’ Cup.